I love looking at all the pictures that friends and family posted on the Internet of their adventures decorating Easter eggs. I love all the creativity and color, things that I have talked about before in terms of developing engaging learning events and presentations. 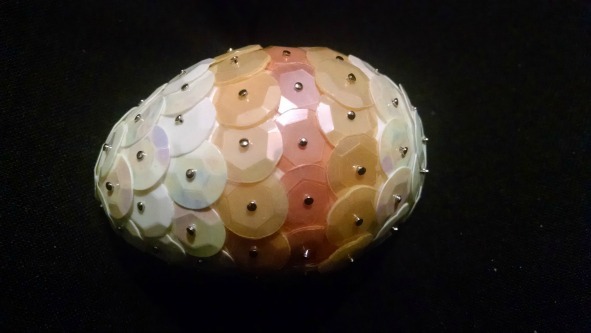 By the ways, here's a picture of an egg I designed this year. But the whole Easter egg thing got me thinking about another type of Easter egg -- the little surprises that computer designers put into applications for the really curious explorers to ferret out. Easter eggs can also be a fun gamification element. Some people love to explore and if they think there is something hidden somewhere it motivates them to poke around even more. The thrill of finding something others don't find. The mystery. The fun of the hunt. So how can you add some Easter egg fun to your learning design? Well, let's look at a few examples I came across recently. The first is from a mobile app that helps people develop habits by tracking their progress. It is called HabitBull it has a nice interface and gives people the ability to see their progress. That alone is such an important issue. I have said many times here, and elsewhere, that when you make progress visible, amazing thing happen. 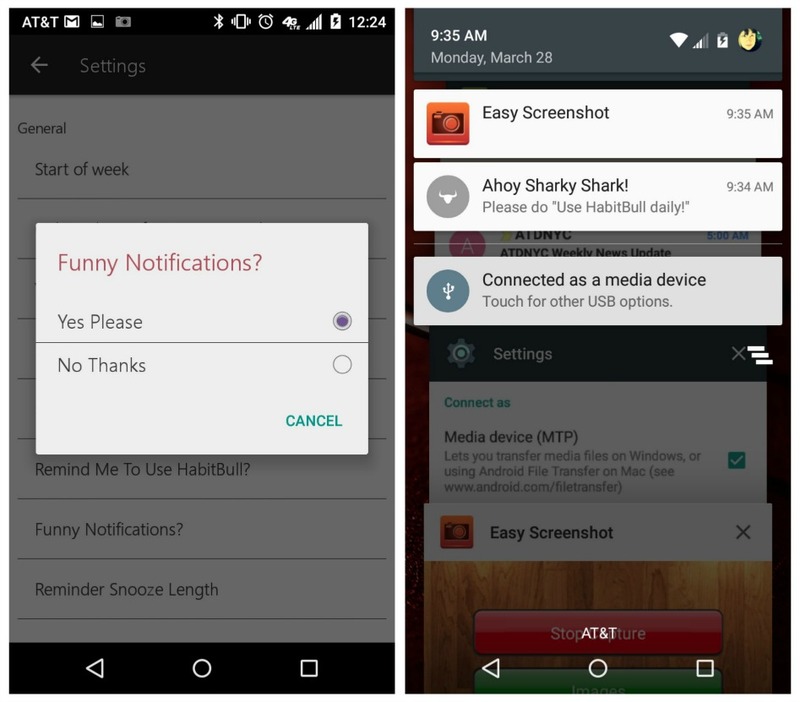 But the feature I want to mention today is their options to turn on Funny Notifications. OK, technically this isn't an Easter egg in the sense of having to find the hidden treasure but I am including it because it plays into that same sense of surprise and humor and fun. When the feature is turned on you get reminder feedback with a little attitude and whimsy. It is an opt-in feature, so if you have no sense of humor you can just be strictly business. Too bad though. I think we could all use a little whimsy. Talking about Easter eggs also reminded me of a story about candy that I think provides a great lesson. Back in the 1980s the story first came out about the rock group Van Halen's brown M&M rider to their concert contract. Since they were rock stars the story was usually considered just further proof of how stars act like divas and make ridiculous requests just because they can. But some years later the truth came out and it was in fact a brilliant way to check whether the various tour venues had read the entire contract. If they got to the venue and saw brown M&Ms in the dressing room, they knew attention had not been paid to all of the instructions and sent their crew to double-check the equipment. You can read more about the details here but the point is that sometimes we can hide little knowledge or attention checks in plain sight. Finally, maybe you just want to use a little surprise to capture the learners' attention. I have been flying a lot lately and have had several flights on Southwest, who have a reputation for having a slightly different attitude and persona than most other airlines. I have, on a few occasions encountered a flight crew who wanted to make sure people were paying attention during the pre-flight instructions that most people talk, sleep, [fill in activity of your choice] while the flight attendants are demonstrating the safety features of the aircraft. Most recently the flight attendant suggested that smaller bags and children should be stored completely under the seat in front of you. It made me smile and made be perk up my ears to see what other treats awaited my attention. So what type of Easter eggs could you hide for your learners or audience? They don't have to be a big deal but they can have a big impact.